November 2018 marks the 100th anniversary of the end of the First World War. Organisations and communities the length and breadth of the UK, as well as in countries abroad, will come together on the day to remember the sacrifice of the millions of men and women who died, or returned home wounded, during the harrowing four year conflict. On Sunday 11 November the annual Armistice Day services and wreath-laying will be taking place across the South Tyneside as usual. Beacons will be lit across the UK to symbolise the ‘light of hope’ that emerged from the darkness of war. A beacon and illuminating 6′ Tommy silhouette will be lit at Harbour Drive. Harbour Drive South car park will host a short programme of commemorative performances as well as hear a moving reading of letters sent from the front line. This large scale display will replace the annual Bonfire night fireworks displays, which are usually held a week earlier. Bells in 1,000 churches and cathedrals across the country will ring out to commemorate the end of the First World War. 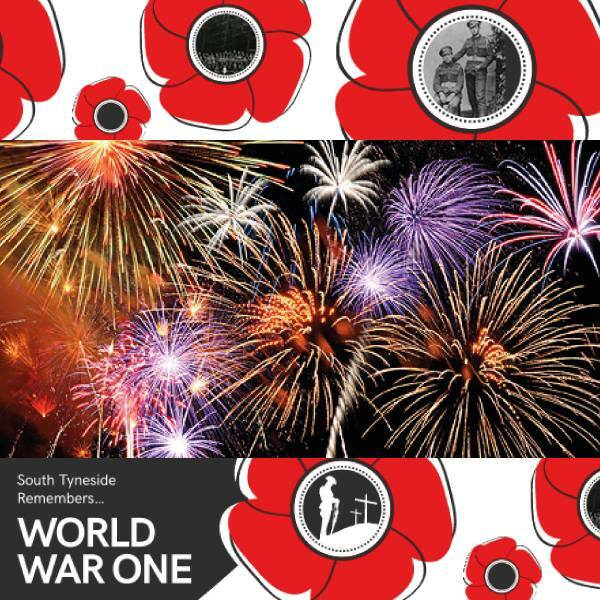 The Word is currently hosting a new free exhibition – South Tyneside Remembers WW1, which looks at how the war affected those who worked at South Shields Public Library at the time.